It's the kind of match I hoped only occur on the long future. Cézanne is more famous (at least where I live), but Cellini is more talented, for me. My vote is for Cellini! Leonardo, today is the first of a series of four matches that are going to be downright brutal. There are at least four very well-known artists among the eight -- and only two can survive the third round.... This is where it gets interesting! As long as I'm talking, I'll be fairly conventional and throw in my vote for Cézanne. He's never been a big favorite, but he's grown on me in recent years. Ce la vie Cellini. A strong vote for the fluid awesomeness that is Cezanne. 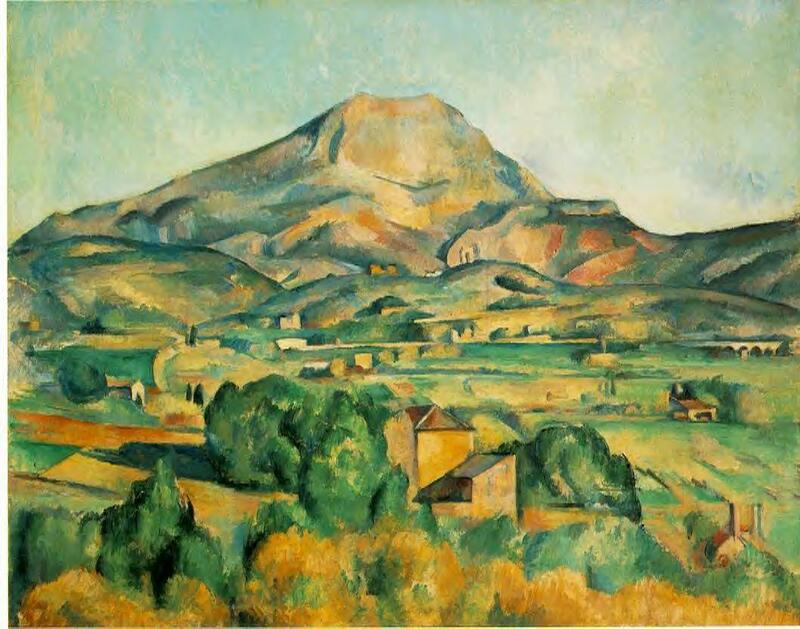 Cézanne makes me feel warm and fuzzy inside, so although both artists are talented I'll vote for him. 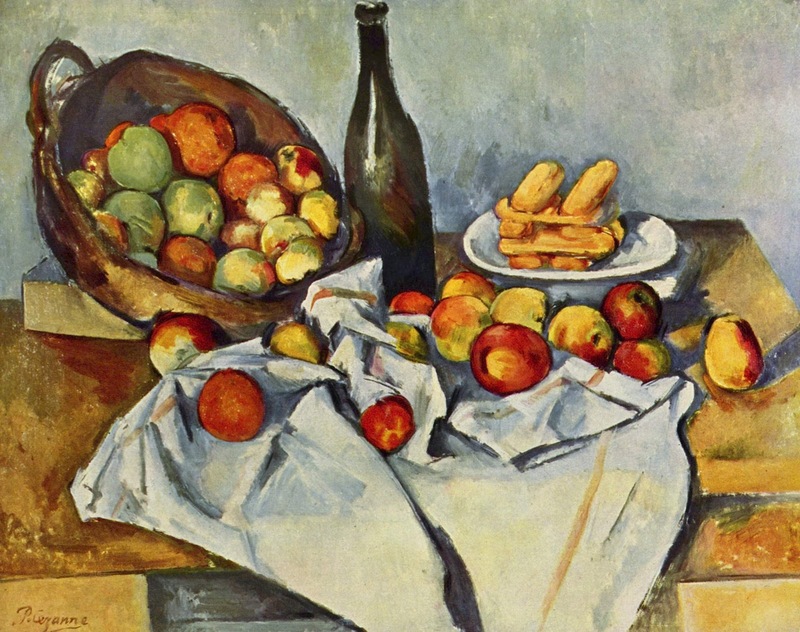 Cézanne, the father of us all. yep, I'm going with Cézanne, too. 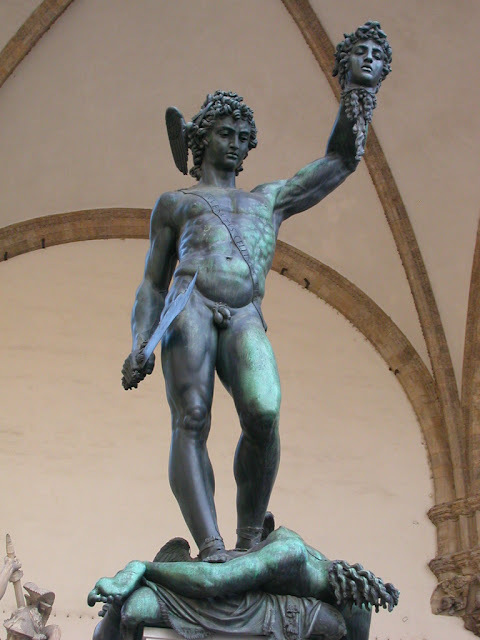 I feel a partiality for sculpted figures...I'll go Cellini. Maybe I feel safer with the solidity of Cellini's works here - I'll vote for Cellini! Cezanne. Or as one of our art students called him, Say-zanny. Cellini. He's not great, but I don't see the appeal with Cezanne. Everything feels... flat. I mean, not just "it's a two-dimensional medium, silly" flat, but without depth. Without humanity. I like his colors a lot of the time, but I've only seen a couple of paintings I find compelling. 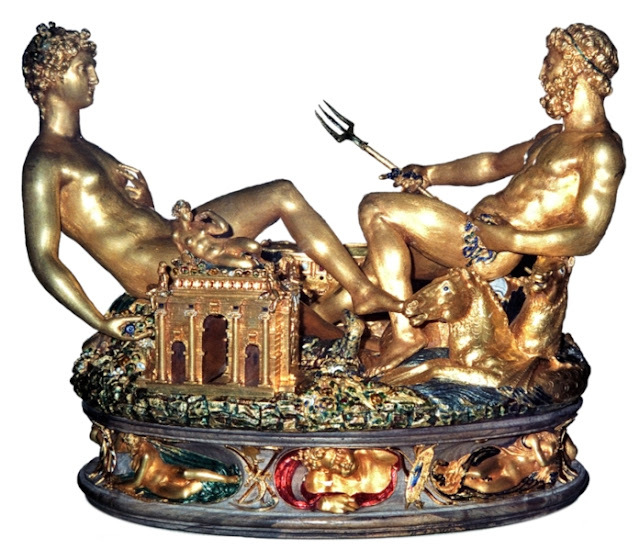 A vote-by-postcard: "Poor, poor Cellini, so overmatched by CEZANNE." (which I am now reading as "Say-zanny." THANKS A HEAP CHRISTINE M.!!! And Cezanne makes it easily into the second round with an 8-3 victory Cellini. This pairing is now closed for voting.